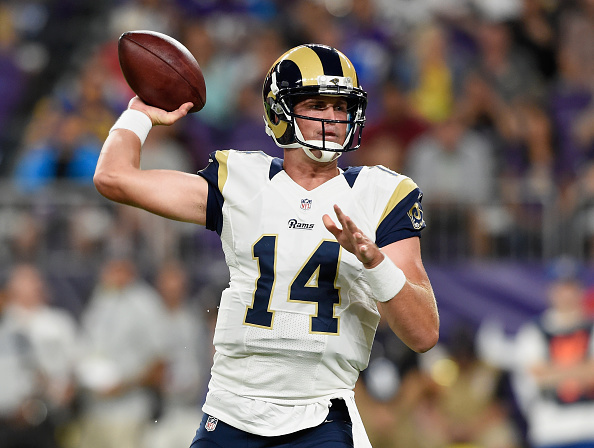 Quarterback Sean Mannion has not been on the Rams’ active game-day roster since the season opener against the San Francisco 49ers. 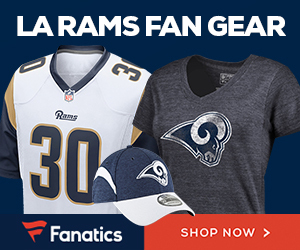 But with two games left in a lost season — and a new head coach to be hired — the Rams are beginning to look to the future, Gary Klein of the Los Angeles Times reports. Mannion appears on track to return to the backup role on Saturday when the 49ers visit the Coliseum. Rookie quarterback Jared Goff, who grew up in Northern California and played in college at California, participated in the team’s light workout Monday. He is expected to clear concussion protocol at some point this week and start against his hometown team. But Mannion – not veteran Case Keenum – could be the No. 2 quarterback. “We’ve talked to him about that being a potential,” interim Coach John Fassel said. Fassel said a determination about Goff’s status would almost certainly be made by Thursday, the day of the Rams’ final practice for the 49ers. And if Goff is not able to play? “We’ve talked about both Case and Sean,” Fassel said. “We’d love to get Sean some reps in the situation like last week, where something happens to Jared – whether he can’t find his helmet or his shoelace breaks – get Sean in there for a little bit of work. Now is the time of the season to go deep into your bench to evaluate the talent pool of those with little play time.